BOB DYLAN REVISIONIST ART. After Halcyon Gallery in London (12 January - 4 April 2014), the exhibition went to Cheltenham, Castle Fine Art. Castle Galleries is part of the Halcyon Group. 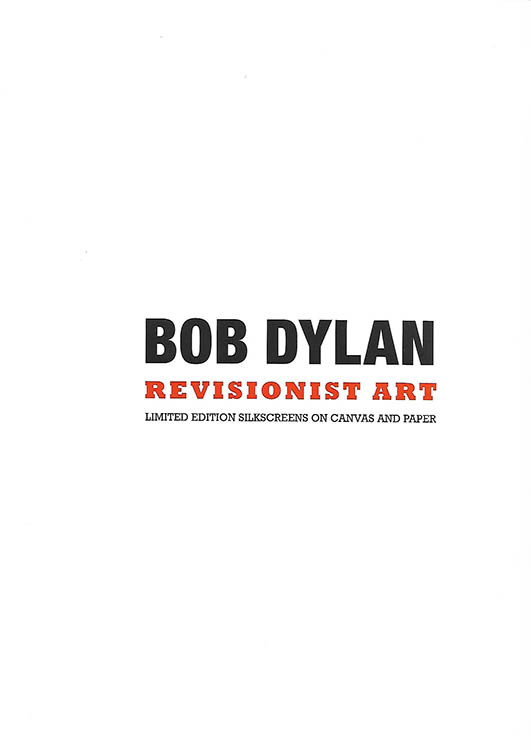 REVISIONIST ACT, by Bob Dylan. Large format paperback catalogue of 2014 exhibition at Castle Fine Art, Cheltenham, (12 April�12 May). Washington Green 2014. 28 pages.